Silicon Valley Latino is delighted to announce, SVL Cultura Ambassador and education champion Jorge Escobar, Vice President for San Jose City College, was recently recognized as one of the HITEC 100 Corporate Award Honorees. For many years now, Silicon Valley Latino has enjoyed covering this special annual awards presentation where many of our Cultura Ambassadors are regularly recognized. Current and past recipients include Guillermo Diaz Jr. -CIO at Cisco, Jorge Titinger – Founder & CEO of Titinger Consulting, Diana Albarran-Chicas – GEO Product Line Manager at Spac Systems Loral to name a few. 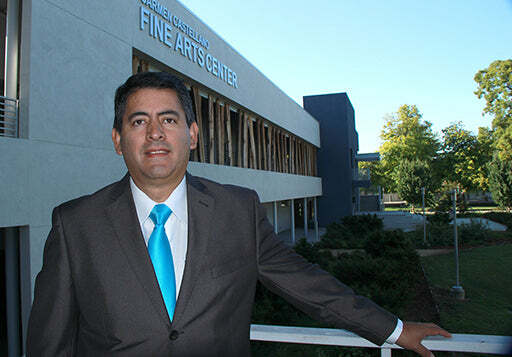 Jorge Escobar currently serves as Vice President of Administrative Services at San Jose City College (SJCC). As a member of the Presidential cabinet, his portfolio includes the following strategic areas: bond program for facilities development and operations; campus buildings and grounds management; financial services; business services; technology; campus police and safety; and operational performance of the 55-acre campus. Before SJCC, he served as Vice President of Campus Operations and as Executive Director of Operations at Laureate International Universities (LIU), at the National Hispanic University (NHU) in San Jose, CA, and St. Augustine Universities, respectively. At different times during his trajectory, he was responsible for multiple teams at the campus and functional expert in areas of Bursar, Financial Aid, Operations, AP, Facilities, Real Estate, Risk Management, and Information Technology. As a Sr. Leader in the organization, he supported the attainment of University goals and objectives in accordance with the institutional mission and strategic vision. 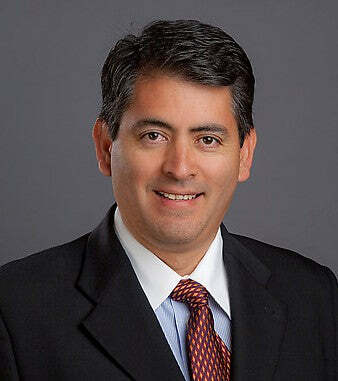 Prior to joining LIU, Jorge worked for Princeton University, where he served as senior associate director of planning and operations for the Office of Development creating a resource request to launch the Aspire capital campaign. The $1.75 billion campaign required the development of strategies relating to the allocation of resources in support of strategic plans (short and long-term). Throughout his career, Escobar, a certified Six Sigma Black Belt, has applied his broad expertise in operations and technology at large institutions worldwide. For almost 10 years at Merrill Lynch, he performed global business reviews in Toronto, Tokyo, and London and became Vice President of Global Business Strategies and Solutions managing initiatives in data strategy, systems integration, performance metrics, and cost savings. Escobar is an advisor to the International Commission of Science and Technology in the Dominican Republic and works with SENACYT (Secretaría Nacional de Ciencia, Tecnología e Innovación) evaluating research and development projects funded by the Panama government and the Inter-American Development Bank. Escobar has led the National Hispanic Employee Network at Merrill Lynch and volunteered for AARP, Habitat for Humanity, and other community-focused organizations. In addition, he is a board member for HISPA (Hispanics Inspiring Student’s Performance Achievement) a non-profit organization providing role models to students in middle school. Finally, Jorge spearheaded Latino Princetonians, an employee resource group at Princeton University. Educationally, Jorge has achieved a Master of Education with a concentration in Curriculum, Instruction, and Assessment from Walden University; Bachelor of Science Degree in Business Administration, Thomas Edison State College; Bachelor of Science Degree in Business Administration with a concentration in Finance from Rider University, New Jersey. Additionally, Escobar is bilingual in Spanish-English, he is highly trained and proficient in multiple technology applications and has completed relevant professional seminars and conferences including the Looking Glass Experience, Critical Thinking and Problem Solving, Enterprise Architecture Modeling, Financial Reporting, Conflict Resolution, Advancement Services, Leadership Through People Skills, Results-Oriented Communication, and Market Data Management. Jorge has also received numerous awards and commendations including a Special Recognition Award from Princeton University (2011), the Donald Griffin ’23 Management Award, Princeton University (2010), and the Special Achievement Award, Merrill Lynch (1997). We would like to congratulate Jorge once again for being recognized as one of the HITEC 100.